"Dr. Silber made me feel like I was going to a party not major operation. Great person always cheerful - & happy." "The confidence I have in Dr Jeff Silber is unsurpassed. I have known him for over 35 years & trust him with my life." "Already have recommended Dr. Silber." "the provider was wonderful. He was the BEST doctor I seen. I generally get very disappointed at most doctors but Dr Silber was different. He was explaining everything so patiently. He was caring and absolutely professional. I'm proud that there are still doctors like Dr Silber who care for patients." "best care I could expect"
"Dr. Silber is disengaged and displays an urgency to be elsewhere. He was brief, dismissive and curated a cold, unwelcoming environment." "provider new my problem, treated in same way. so far very effective"
"Dr. Silberg and his staff as well as the entire Northwell group provided excellent service!" "DR. Silber listened and gave a very thoughtful opinion"
"Dr. Silber is the best!!!! his rating should be more than very good- he is exceptional and one of the best.. I would recommend without hesitation...."
"I have been a patient of Dr. Silber since 2016. I am confident Dr. Silber will help solve any problems I may have. " "the doctors is well spoken about and I had the chance to experience it for myself. Would not go to another Surgeon but him." "I feel Dr. Silber and his PA Steve are very compassionate and are outstanding and would definitely recommend Dr. Silber to my friends and family." "Dr. Silber is kind, considerate, and knowledgable." "Dr Silber is very competent, caring, concerned and knowledgeable in his field. I don't even feel as if I need a second opinion, that is how confident I am in this professional." "Dr. Silber is great and I understand that he's a surgeon but the appointment did feel a touch rushed - surgery is a big decision and I would like a little more time with the doctor to discuss it before the appointment is over"
"dr silber and PA steve are amazing. trust them with their decisions . they make you feel very comfortable"
"Dr. Silber was OK - nice and professional - but seemed in a rush and anxious to continue on to other patients." "I have recommended Dr. Silber to several people already. My confidence in his care and his team is incredible. So glad i had him as my surgeon." "A kind compassionate wonderful! man and surgeon." "would definately recommend. my best friend had lumbar Lamectomy recently I went thru the whole experience with her, she has no back pain anymore, and she was diabetic and healed really well too. dr silver did exactly what he said he would do, honestly he saved her physically and mentally from miserable pain. she has better quality of life now"
"Dr. very comforting. Dr. Silber always answers my concerns and question. He always makes sure that I understand EVERYTHING." "Care provider was very clear in his explanation of my physical progress." "Dr Silber has great bedside manner. Easy to speak to"
"Dr. Silber is a wonderful doctor. A pleasure to talk with him." "Dr. Silber is the best surgeon ever!!! he will be very much recommended. 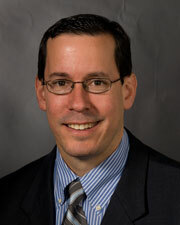 his staff - PA Stephen is the best...."
"I come here specifically for Dr. Silber & his PA Steve. There are many surgeons closer to my home but none as good as them." "Dr. Silber is wonderful. Even though he had a very busy day, he truly showed concern for the issues I was having although some of it didn't pertain to the back surgery. He listened and came up with a plan to help me get through the worst of my pain so I could at least function again. He really is exceptional in his patient interaction and did his best to reassure me." "I would recommend dr silber to anyone"
"dr. silber took his time with me and explained everything to me in detail." "Dr. Silber's care & concern was excellent." "2 times I've seen him and both times felt he was brushing me away"
"Dr. Silber was very professional, courteous and caring for my condition." "This was my 1st visit - Dr. Silber impressed me as being concerned & discussed options re: care." "The team were very clear about every part of my treatment." "Dr. Silber the best I tell everyone about him." "It was a very good experience overall. The doctor was excellent - courteous, professional, informative." "Assured me that my condition was not life-threatening." "I have recommended my mother-in-law and son to the practice for various issues." "Dr. Silber is an excellent specialist but I also recognize that he is working against the clock, which is hard to deal with as a patient. But, I guess that is the new norm." "I have recommended Dr. Silber. Great guy!" "DR. and PA explained things to me in a way that I could understand." "Sometimes the Doctor talks a little too fast and doesn't completely let you finish what you are saying first." "OKIf I didnt trust him I would not have have goneGET THE PICTURE"
"Dr. Silber seem a little rushed this visit and started talking to his assistance about another case while in the room with me." "Needed more info about my condition & subsequent consequences." "I just recommended Dr. Silber to some one today!" "My experience with Dr. Silber was excellent. I've already recommended 3 people." "Jeff Silber listens and is very kind & informative in answering my questions." "During exam left room several times without explanation. (To see other pts.)" "Dr. Silber fixed me. He gave me back my life. I can't thank him enough."